French for Rabbits are returning to the stage in December for three very special concerts with the full band, combining film projection with their music for the first time in Wellington, New Plymouth and Auckland. Visual projections featuring unseen footage from the bands back catalogue of music videos will be curated by Lady Lazer Light. The Highest Hill tour also celebrates a new single due out on November 27th. French for Rabbits have been performing since 2012, racking up over 12 million plays on Spotify, touring Europe five times, and opening for Lorde, Marlon Williams and Agnes Obel. 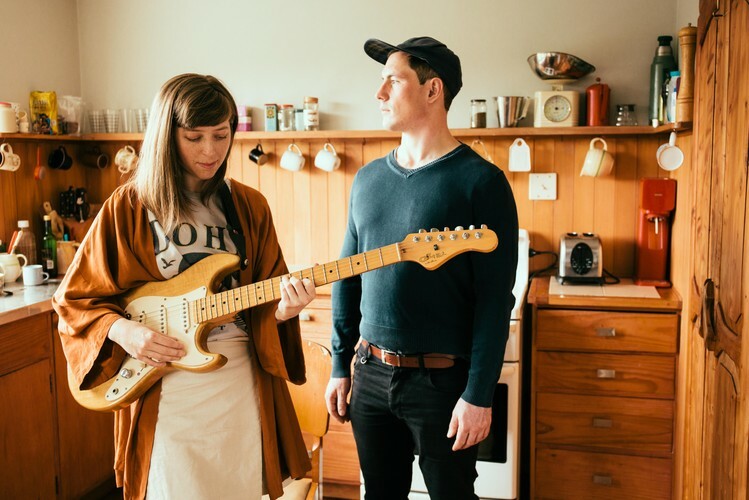 The band features core members Brooke Singer and John Fitzgerald, alongside talented drummer Hikurangi Schaverien-Kaa (Glass Vaults, Shake’em-Downers), and multi-instrumentalists Penelope Esplin (Moonlander, Grawlixes) and Ben Lemi (Trinity Roots, Dawn Diver, Congress of Animals). On the tour they will also be joined by special guests Mystery Waitress in Wellington, Sam Egli in New Plymouth, and Mali Mali in Auckland. Tickets are available now for Auckland and Wellington, or from the 4th Wall Theatre’s website for New Plymouth.